We have two contributors today. The first is Charles Sawicki, who found a beaver! His notes, and those of Stephen below, are indented. 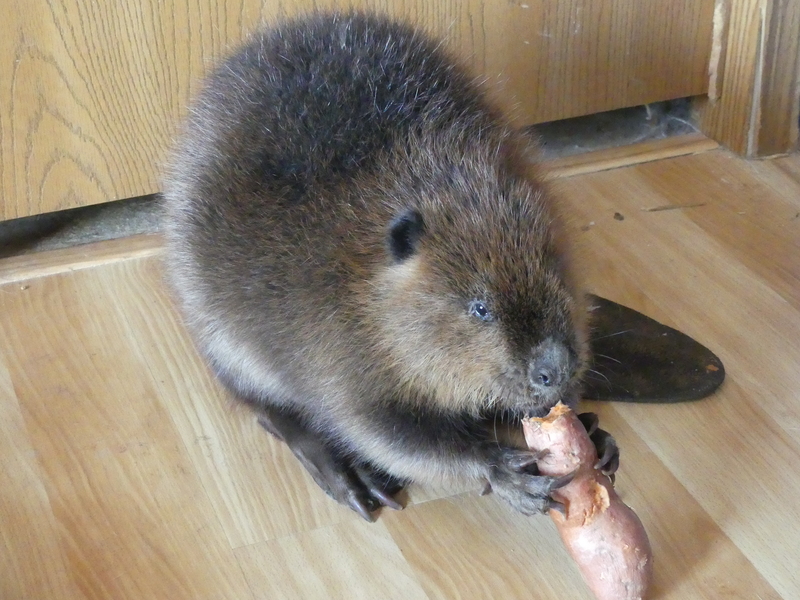 Here are photos and a movie of a rescued beaver. This North American beaver (Castor canadensis) was found early last summer as a tiny kit crying in a drainage ditch. Beavers in distress make sounds that can easily be mistaken for a crying child. She had nasty puncture wounds suggesting an attack by some sort of raptor. There was no lodge nearby so she was taken to a rehab person and named Beatrix (voyager in Nordic languages). At a few pounds she was much too small to be outside her lodge, so how her problems began remains a mystery. Initially nursed on goat milk, she is now doing well, but can’t be released to the wild since she missed the acquisition of cultural knowledge from her parents as well as the proper diet required to maintain the hind gut microbes needed to digest woody lignocellulosic materials from poplar, aspen, and cottonwood. She is still small for her age, and will probably go to a local zoo this coming summer for use in outreach programs since she is comfortable around humans and can be petted. 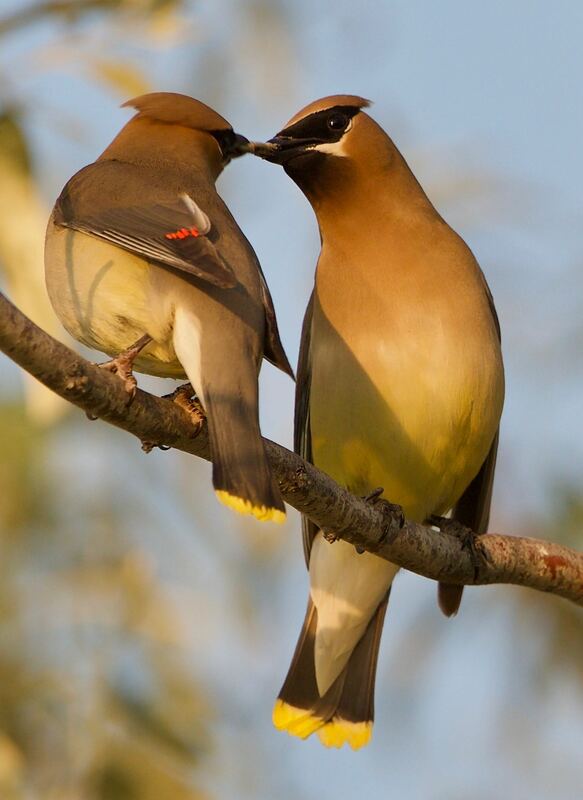 Cedar Waxwings [Bombycilla cedrorum] sharing a treat. I think it’s a pair-bonding thing.Their feathers are so sleek. The Bohemian Waxwings are slightly more beautiful, but I haven’t seen them here. Great Horned Owl (Bubo virginianus). He’s looking at my dogs, shortly after sunrise. This entry was written by whyevolutionistrue and posted on February 9, 2019 at 7:30 am and filed under birds, landscapes, mammals, photography. Bookmark the permalink. Follow any comments here with the RSS feed for this post. Both comments and trackbacks are currently closed. New backgrounds for my iPads and iPhones. Thanks Steven! It’s commendable to take care of a beaver. If owls could be pets, I’d want that one. Woa, those are all amazing! The GHO rather startled me. 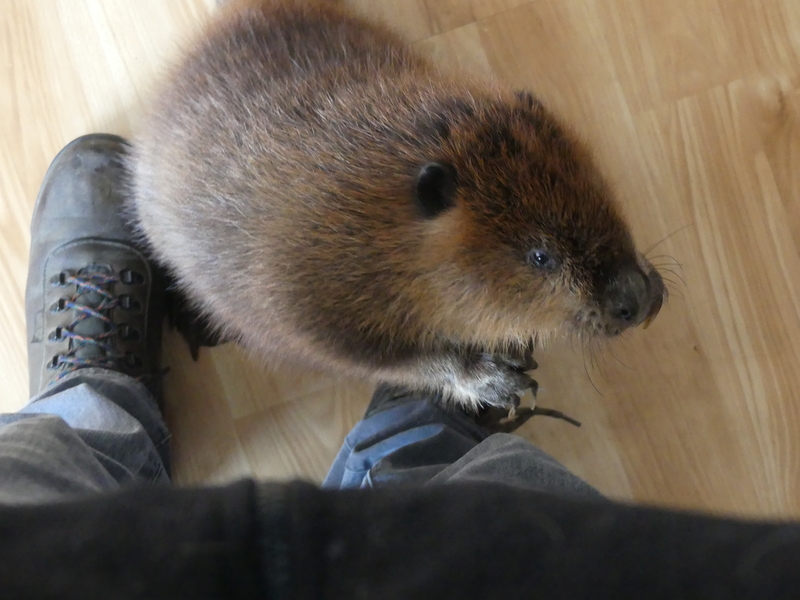 I remember an account from a old book about living close to nature (can’t remember much of anything about it), but one thing that stayed with me was the author describing a pet beaver that would beg to be picked up and cuddled, even as an adult. If you didn’t give it fusses, the beaver would carry on ‘like a naughty child’. Wonderful Beatrix story and incredible photos. That is quite a photo of an owl. What wonderful pictures. You have quite an eye. Nice Great Horned Owl photo! I like this one because he’s doing at my dogs, not directly at me, which is the typical owl portrait pose. “looking” not “doing”. How in hell did that typo happen? The funny thing is, I understood it as “looking”. 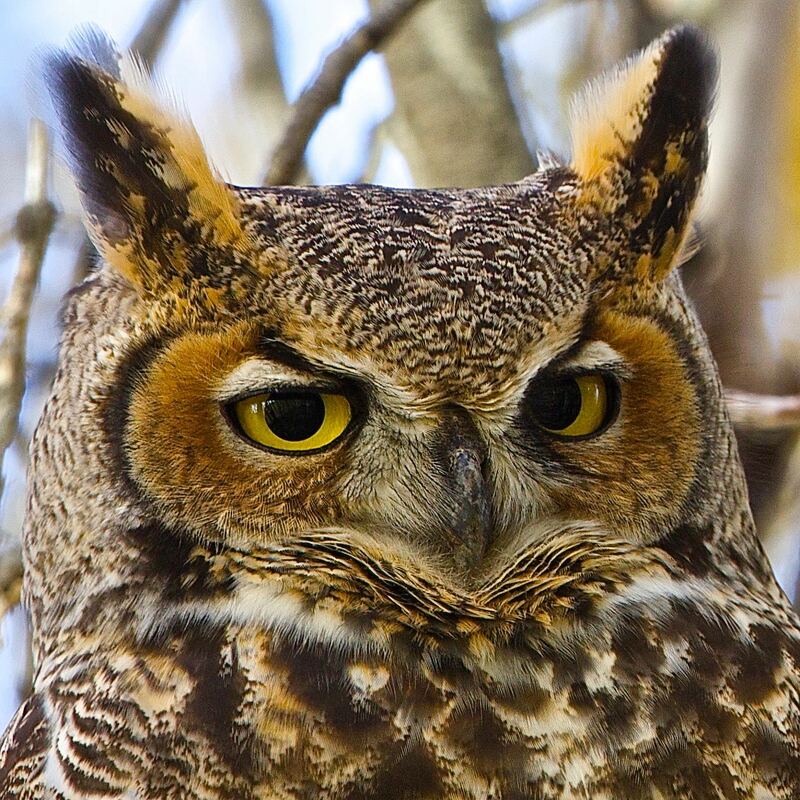 Do horned owls pose a threat to smaller dogs or cats? That is one cool dude. Nice Beatrix story…cute little bugger. They’re capable of killing a cat, but they prefer smaller prey — mice and voles. That’s owls I take it, not beavers? – which I presume are strictly herbivores? My distant relation! I’m Castor biber, the European cousin! He’s gorgeous! The landscapes are dramatic. Different light, different mood.